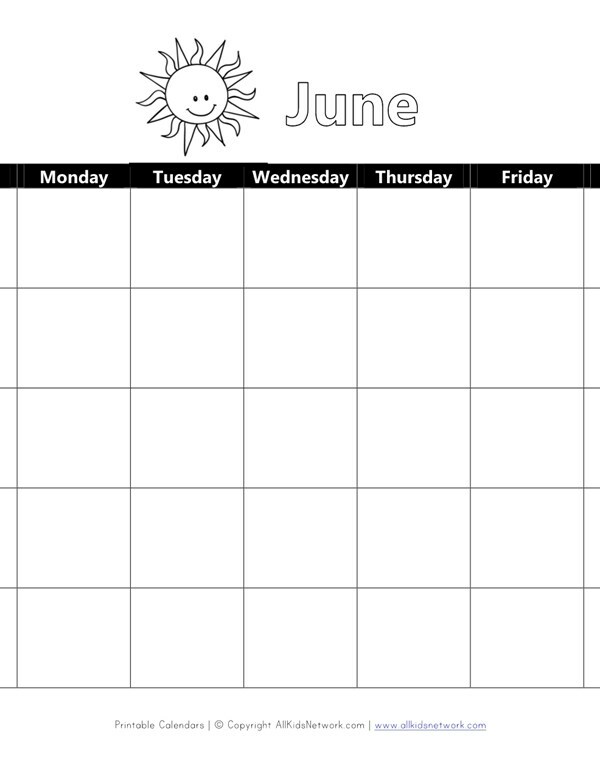 This is the perfect printable calendar for June. This works for any year, just fill in the dates. 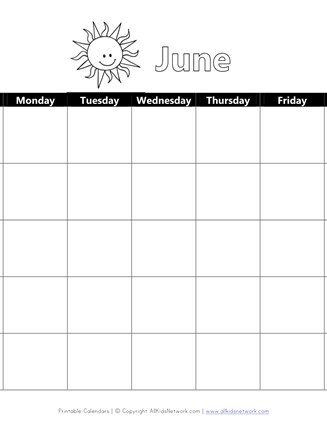 This printable calendar includes a colorable picture of a sun at the top since June is the beginning of summer.